Plant invasions are a complex problem in modern landscapes, and landscape level solution is therefore needed. Remote sensing represent an effective tool for regular and precise monitoring. In our research, we focus on spatio-temporal patterns of plant invasions, using remote sensing and GIS tools. financed by The Ministry of Education, Youth and Sports (INTER-COST VES18 LTC18007, 2018 – 2021) builds on our previous project Detection and monitoring of invasive species using unmanned aircraft (financed from TA ČR, TA04020455, 07/2014 – 12/2017). We are also part of the COST HARMONIOUS focusing on UAS applications in environmental studies, and collaborate with French team from IRSTEA Grenoble. Our projects aim at describing methodology for timely detection and monitoring of the selected alien plant species using remote sensing means. We focus on following species: giant hogweed (Heracleum mantegazzianum), knotweeds (Reynutria japonica, F. sachalinensis, and F. bohemica), tree of heaven (Ailanthus altissima), black locust (Robinia pseudoacacia), Himalayan balsam (Impatiens glandulifera), Jerusalem artichoke (Helianthus tuberosus), Canada goldenrod (Solidago canadensis) and giant goldenrod (S. gigantea). All species represent a considerable threat to human society, posing risk to the human health (causing skin burns — g. hogweed, tree of heaven), landscape, ecosystems and biodiversity (all mentioned species). In the previous project, our team developed an unmanned aircraft system and methodological workflow enabling fast and precise monitoring of invasions. The system will provide sufficient spatial/spectral resolution and flexibility of the data acquisition in various flight height and phenological stages of study plant species. Different approaches to image pre-processing are tested, choosing the best methods for the data acquisition and their geometric and radiometric correction. Satellite and commercial aircraft data are used for comparison to cover broad range of data resolution, spatial (from coarser satellite data to very high resolution UAV data of < 0.1 m), spectral (color aerial, MSS satellite with 4—10 channels, and UAV imagery with RGB plus modified NIR channels), as well as temporal (UAV flexibility enables to assess the best timing for the accurate species detection). Our project aims in finding automatic or semiautomatic algorithms using different classification approaches, such as pixel-based, object-based, or combination of both (hybrid approach). In our research, we address trade-offs between spectral, spatial and temporal resolutions required for balance between the precision of detection and economic feasibility. The resulting data enable us to monitore the efficiency of eradication efforts, assess the invasibility of different types of habitats, model the potential species distribution and identify the drivers of spread. This knowledge serves as a basis for prediction, monitoring and prioritization of management targets. 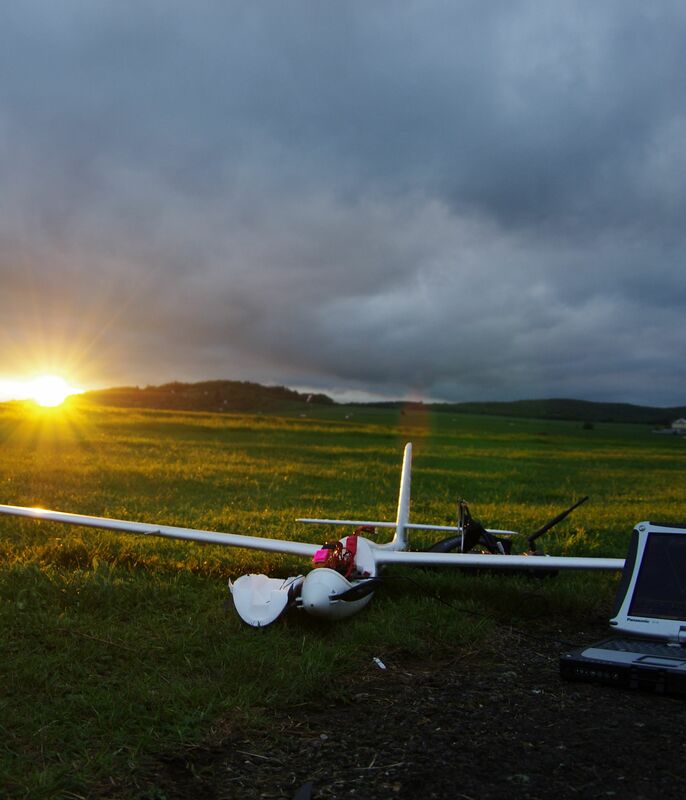 Purpose build UAV is a low cost solution providing very high spatial detail, high flexibility enabling optimal timing of the campaign (choosing the best phenological stage to detect the species). It can be successfully used for early detection and targeted monitoring (e.g. to survey sites prone to invasion, areas of interest for nature conservation, such as NATURA 2000 sites). Using UAV for monitoring, legal constrains need to be considered. Within EU, UAV operation in urban and inhabited areas is prohibited, limiting the application especially for invasive species that spread into man-made habitats. Despites its limits, it still provides a reasonable alternative to satellite imagery especially in vegetation mapping, where often data of high spatial and temporal resolution are required.